Further down my More from Maui series. Up now: Big Swell. Look at that picture. It makes you think of a Pipeline drainer exploding hops out of the can, into the glass, and down into your gullet. But it ain't--it's spewing boredom all over my tastebuds. It's not a terrible beer, just reminiscent of all things Kona. This has a very plain malt bill and nothing exceptional in terms of hops (and mostly bittering hops). 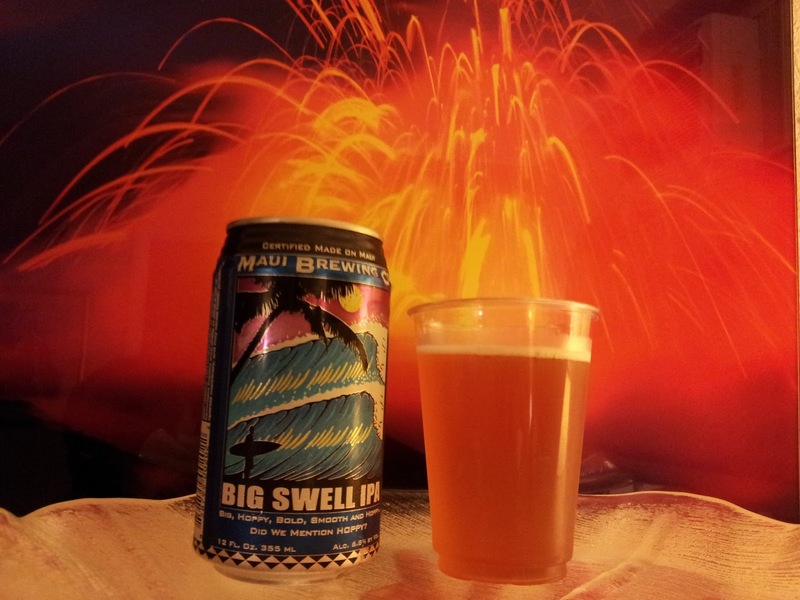 Even so, this is probably the best IPA you can find on the Islands, and especially from any of the other Hawaiian microbreweries. Can you guess which those might be? Hint: there's only one other.